I found this wonder blog online called “Attic 24“. It is run by this wonderful lady named Lucy who lives in England. She designed the pattern for this blanket. She even sells a kit of yarn that includes all these yummy colors. 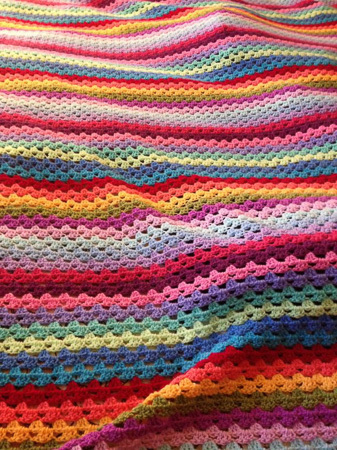 The picture above is the blanket I made using her pattern. I was very happy with how the blanket turned out.